Hey there! The Detroit Pistons are fun and pretty good, so it’s time to talk about them again. To do so, I brought my man Duncan Smith on the latest episode of Timeout with Ti. We bounced around a variety of Pistons topics, including how Andre Drummond has changed his game, how Detroit has done well without a standout star, and where the team will finish the year compared to the rest of the Eastern Conference. Duncan and I couldn’t help but talk about some other Association-related topics as well, including Stephen Curry’s injury and which of James Harden and LeBron James deserves to win MVP based on how they’ve both started the season. If you liked this or any episode, please follow me (@TiWindisch), the podcast (@TimeoutwithTi), and Duncan (@DuncanSmithNBA) on Twitter if you enjoyed the episode! Please check out Timeout with Ti and Press Basketball on Facebook, and listen to the other 106 episodes of the pod that are located on iTunes/Apple Podcasts, Google Play, and Stitcher plus on the show’s dope home on Soundcloud and here on the super dope Press Basketball website. Also, huge shout out to Joey Burbs, who is still your favorite podcast host’s favorite rapper. If you enjoyed this or any episode of Timeout with Ti, please take the time to subscribe, rate, review, and tell your friends to help the show keep on growing. Ti is a writer, editor, and podcast host who's work can be found at Behind the Buck Pass, The Step Back, Press Basketball, and wherever podcasts can be found. He's the host of Timeout with Ti, a typically-NBA themed pod that features one guest and has a more conversational feel than a standard interview. He loves the Milwaukee Bucks and is not here for your mispronunciation of Giannis Antetokounmpo. Hey there! 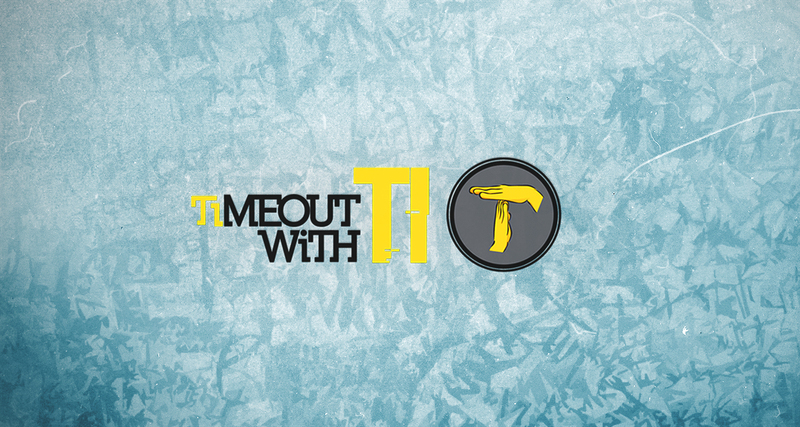 Welcome to episode 106 of the Timeout with Ti podcast! I had scheduled an Eric Bledsoe podcast with my guy Gerald Bourguet before he was traded to the Milwaukee Bucks, but I knew it’d be a classic episode once that happened several hours before we recorded. 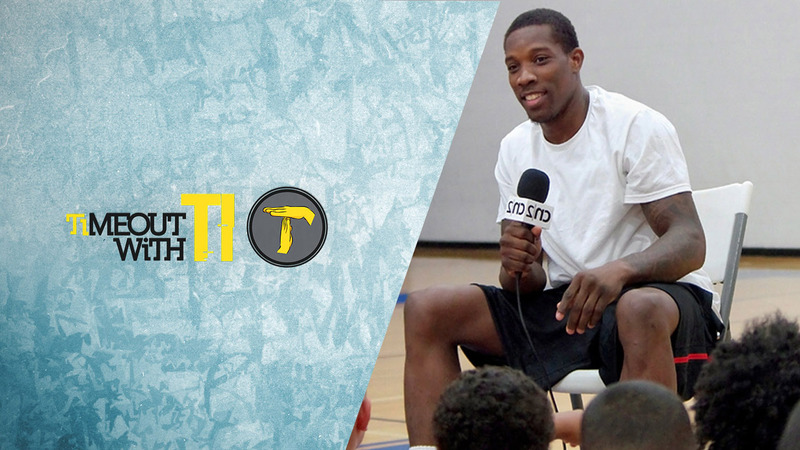 Gerald and I broke down what led to the Bledsoe situation deteriorating in Phoenix, why the Suns should have traded him earlier, why the return wasn’t higher and how both teams are looking towards the future now that the deal is done. Somehow, I resisted saying Bucks in six at all, although this deal excited the hell out of me when I found out about it while sitting in class. Please follow me (@TiWindisch), the podcast (@TimeoutwithTi), and Gerald (@GeraldBourguet) on Twitter if you enjoyed the episode! 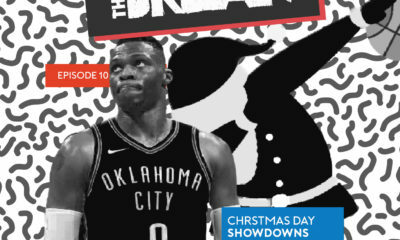 Please check out Timeout with Ti and Press Basketball on Facebook, and consider listening to the other 105 episodes of the pod that are located on iTunes/Apple Podcasts, Google Play, and Stitcher plus on the show’s lovely home on Soundcloud and here on the super dope Press Basketball website. Also, shout out to Joey Burbs, who is your favorite podcast host’s favorite rapper. If you enjoyed this or any episode of Timeout with Ti, please take the time to subscribe, rate, review, and share to help the show keep on getting better! Hey there! 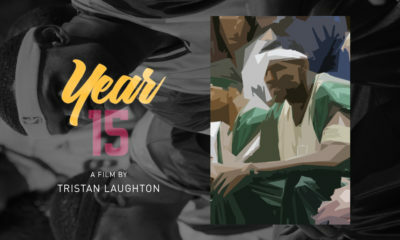 Welcome to episode 105 of Timeout with Ti. This episode is decidedly less NBA focused than most are, but to make up for the content change I had a truly excellent guest on. Brian Anderson, play-by-play announcer for the Milwaukee Brewers and all sorts of national sporting events, stopped by. The main topic Brian and I discussed was broadcasting in general, and really all the facets of it people might not know about. Although good broadcasters may make it seem like they are just talking sports with other knowledgable sports fans on air, Brian said prep work is what separates the best of the best. Also, we talked about the culture that goes into a good broadcast. Like playing for the San Antonio Spurs, everybody has to know their role and play it well for the end result to be as good as it can be. Finally, with the World Series in full swing, Brian and I talked a bit about the slick ball discussion happening right now, as well as the series itself. Feel free to follow me (@TiWindisch), the podcast (@TimeoutwithTi), and Brian (@BAndersonPxP) on Twitter if you enjoyed the episode! Please check out both Timeout with Ti and Press Basketball on Facebook, and consider listening to the other 104 episodes of the show that are located on iTunes/Apple Podcasts, Google Play, and Stitcher plus on the show’s lovely home on Soundcloud and here on the beautiful Press Basketball website. 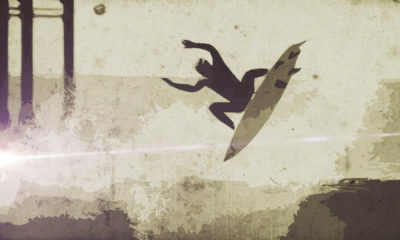 Also, shout out to Joey Burbs, who has a new music video coming on Friday. 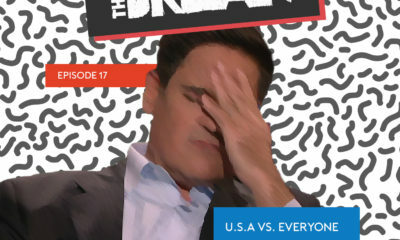 If you enjoyed this or any episode, please subscribe, rate, review, and share to help the show keep on getting better! Hey there! 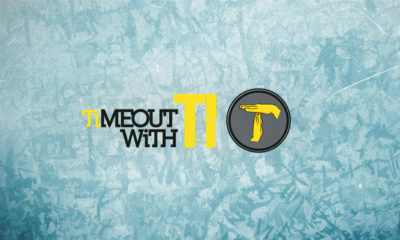 Welcome to episode 104 of the Timeout with Ti podcast. I sat down with Ben Mehic on a beautiful Saturday morning to talk about the Utah Jazz, followed by a few quick-fire takes on some other teams. Ben and I disagreed a bit on the outlook for the Utah Jazz, mostly because he’s a noted pessimist, but we did both come in knowing Utah’s offense would be a slog this season. The Jazz have no clear-cut leading scorer—Rodney Hood is probably the closest thing to it. The defense will still be great, and as Ben brings up, more steals might help jump-start Utah’s offense. The slogging Jazz will have problems on the offensive end, though—nobody will tune in and mistake them for the Golden State Warriors. 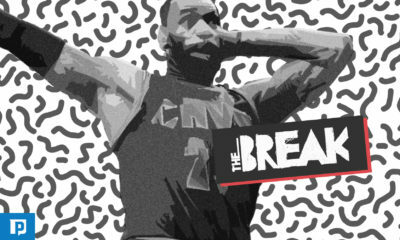 After breaking down Utah’s chances in the West, we talked about Milos Teodosic and the Los Angeles Clippers, the Washington Wizards, and the Milwaukee Bucks a bit. I gushed over Giannis Antetokounmpo, but after what he did on Friday night that’s more than fair. Hit up me (@TiWindisch), the podcast (@TimeoutwithTi), and Ben (@BenMehicNBA) on Twitter to let us know if you liked the episode or not! I think all three of us are worth a follow regardless, honestly. Please check out both Timeout with Ti and Press Basketball on Facebook, and consider listening to the other 103 (!!) 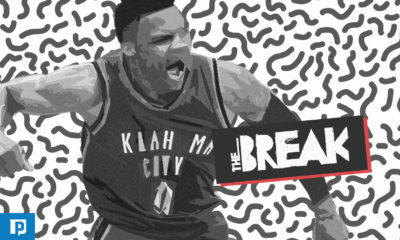 episodes of the show that are located on iTunes/Apple Podcasts, Google Play, and Stitcher plus on the show’s lovely home on Soundcloud and here on the fantastic Press Basketball website. Also, shout out to Joey Burbs, who is a legend. If you enjoyed this or any episode, you can subscribe, rate, review, and share to help make the show grow!